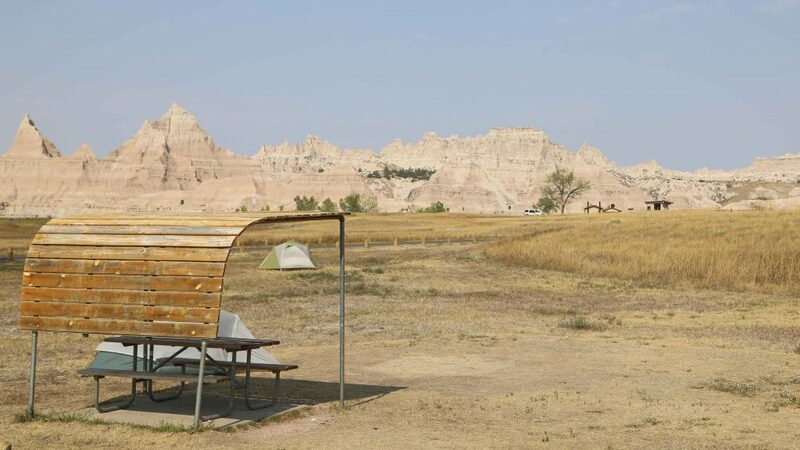 There are 2 Campgrounds at Badlands National Park; Cedar Pass Campground and Sage Creek Campground. Cedar Pass Campground is centrally located in the main part of the park while the Sage Creek Campground is a little more remote. 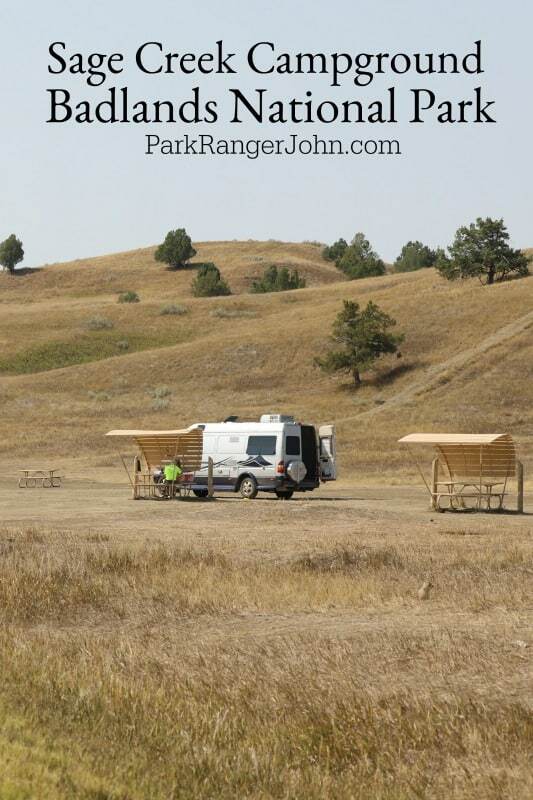 Badlands National Park Camping is a great way to enjoy overnight stays right in the park. One thing to remember is South Dakota is known for warm days and cool nights. Be prepared for the weather to change often. 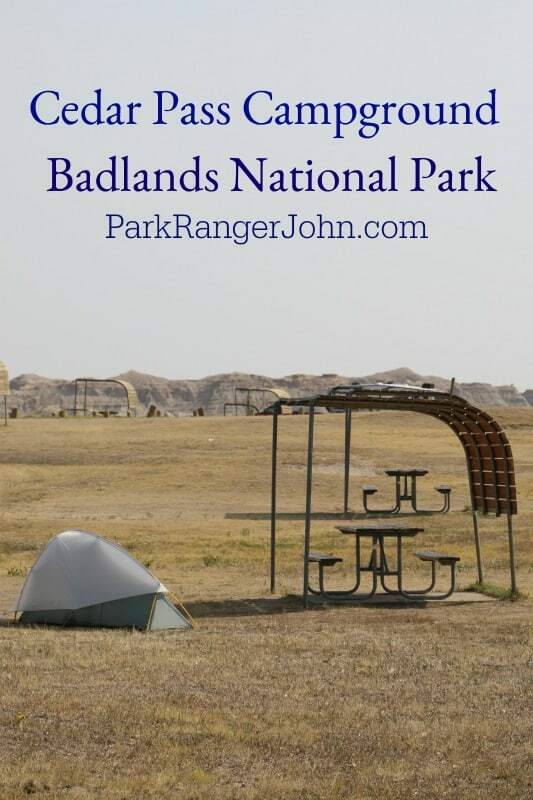 You have your choice of both primitive camping and tent camping within Badlands National Park. Cedar Pass Campground is the closest location to the visitor center and has RV sites, tent camping, picnic area, and is close to a restaurant. You can now make advance reservations for Cedar Pass Campground. Sage Creek Campground is a primitive campground off of a dirt road with no amenities close by. Staying in Sage Creek is definitely more of a wilderness area with Bison roaming by and Prairie Dogs near the pit toilet. Location: Cedar Pass Campground is located on the parks East side near the Cedar Pass Lodge, restaurant, and the Ben Reifel Visitor Center. 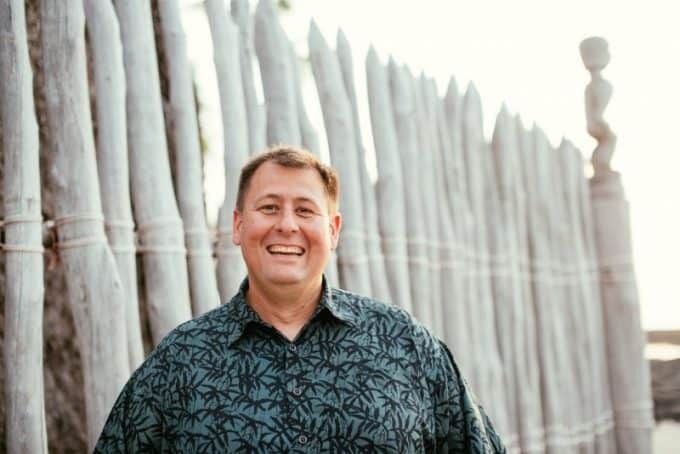 This puts you close to numerous activities and the ability to go to the park’s amphitheater for an evening ranger program and perhaps even a program on the night sky. The campground offers amazing views of the Badlands. Cost per night: Tents $22 a night, RV with electric hookups $37 a night. There is an additional person charge over 2 people. Reservations? : Reservations can be made by calling (877)386-4383 or online. Campground amenities: There is pay showers, flush toilets, and water near the campground. RVs allowed? : Yes, there is electrical only hookups. I would also highly recommend getting up early and watching the sunrise. 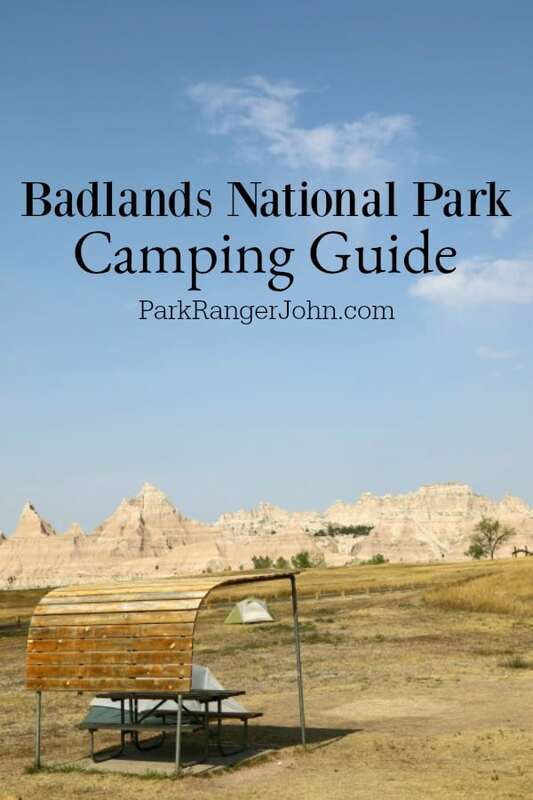 Check out my article on Things To Do Badlands National Park for more information. There is very little shade available and it gets very hot. Be prepared for the sun and heat. Fires are not permitted in either of the campgrounds in Badlands National Park but you can use camp stoves and charcoal grills. Park Ranger John Pro Tip: Charcoal Briquettes are the cause of many dumpster fires in parks. Remember that charcoal briquettes have one purpose, to burn and they are very effective at it. I have responded to several of these in my career and each time I hear the same thing, I put water on the charcoal before putting them into the dumpster. My advice is to use a charcoal disposal station if provided and soak them in water. Come back approximately a half hour later and soak them down again. Even after soaking them down the briquettes will continue to burn from the inside and dry out the briquette and then reignite. There are pay showers available in the campground. Head over to our Cedar Pass Campground Post to see more photos from the campground! 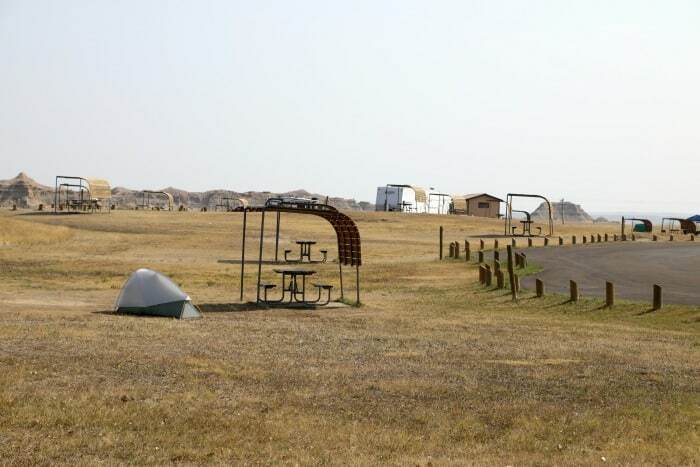 The Sage Creek Campground is a primitive camping experience. and the 10-mile dirt road (Sage Creek Rim Road) is typically washboard and rough. Spring rains and winter snows can close the road temporarily. The great news is that the campground is free of charge. We saw lots of prairie dogs in the campground and saw Bison just outside the campground. This campground is becoming incredibly popular so the National Park Service is looking at how to best manage the campground. 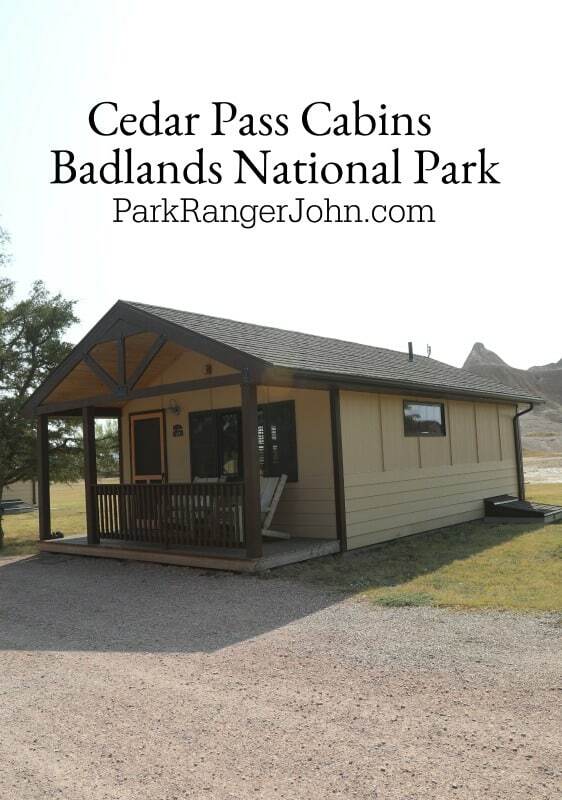 Cedar Pass Lodge has cabins that are another great option for staying in Badlands National Park.